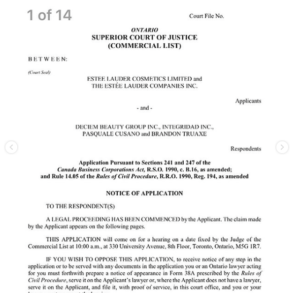 Well, we saw it coming; Esteé Lauder is Firing + suing Deciem CEO – Brandon Truaxe for not complying with the unanimous Shareholding Agreement. 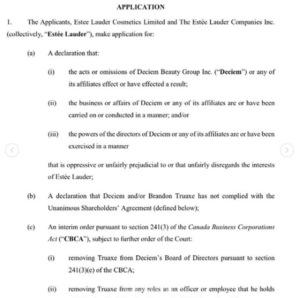 Let me rephrased that; Brandon Truaxe is in deep trouble and will probably lose his company (and job) to Esteé Lauder, who is a 28% shareholder. 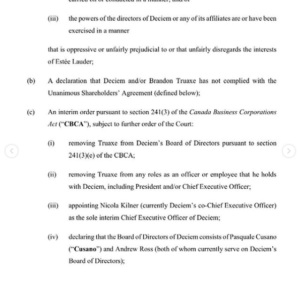 This all happend a day after he has fired the CFO of Deciem and 2 days after he shut down all stores including Deceim’s website. BestAnti-Aging.com is the first website/ blog / newspaper that has published this unbelievable story about Deciem. Please name us as a source if you want to copy. 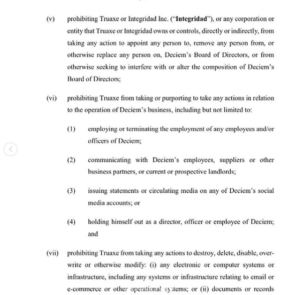 BestAnti-Aging.com will take immediate legal action if this will be ignored.